Canada’s dynamic city of Vancouver is home to a vast number of bars and restaurants that have embraced the growing trend towards cocktail culture. 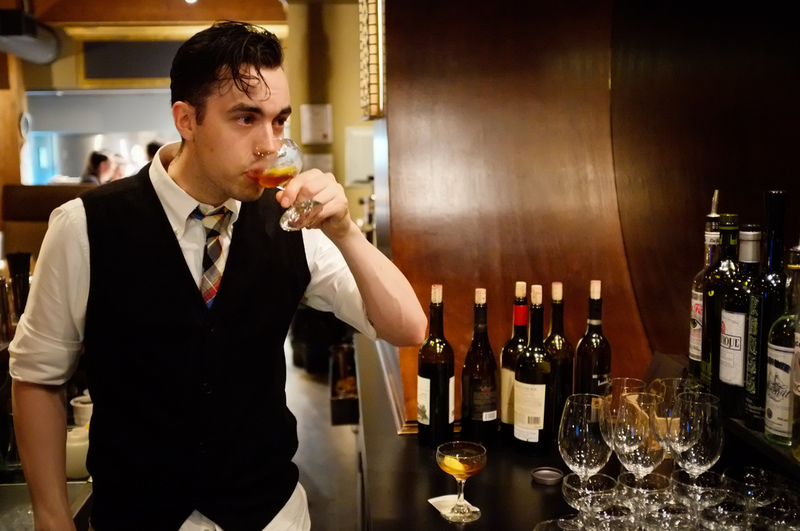 The city’s bartenders utilize centuries-old cocktail recipes and techniques combined with new ideas and the finest ingredients. Read our guide below to discover to coolest places to get a truly amazing cocktail in Vancouver. Vancouver’s first micro-distillery, Long Table Distillery, is a family owned and operated business with a strong passion for creating West Coast-inspired gins, vodkas, and a changing variety of seasonal spirits. Each bottle of spirits is handcrafted in small batches, distilled from Long Table’s 300-liter copper pot still. Every small batch Long Table distills tells a story through its subtle taste characteristics derived from a selection of unique botanicals, 100% Canadian sourced base inputs, traditional distilling practices, and skillfully crafted proprietary recipes. The organic and natural ingredients they use in their spirits are carefully chosen for freshness, often obtained locally or from globally sourced, fairly traded growers. Even the water they use is from BC’s pristine Coast Mountain Range. Guests can purchase spirits along with a wide range of cocktail-related items, bitters, and Long Table branded items from the retail store and tasting room at the distillery. Every Friday evening, Long Table serves up gin and tonics, as well as cocktails, with one of Vancouver’s top food trucks right out front. They also serve craft cocktails on Saturdays in the distillery’s Cocktail Laboratory, also with one of the city’s famous food trucks outside. 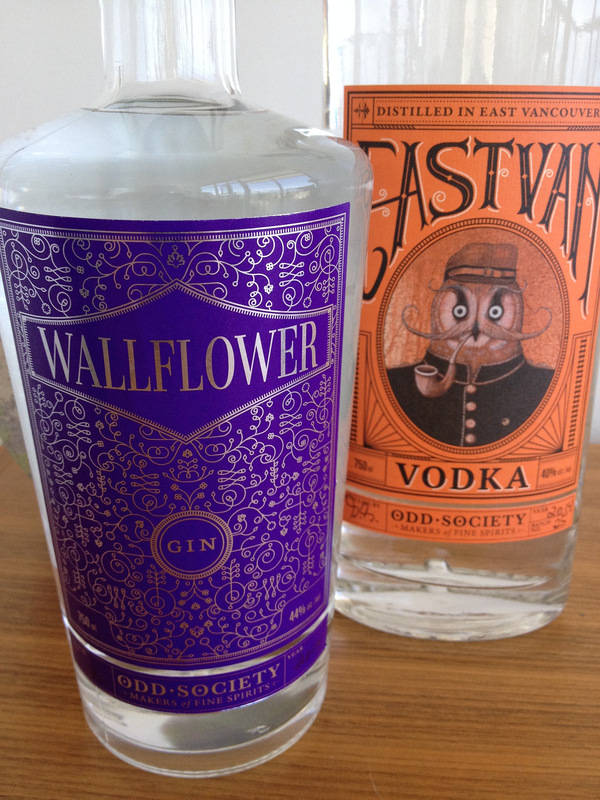 Located on Powell Street in East Vancouver’s Port District, Odd Society Spirits is dedicated to combining Old World distilling traditions with New World ingredients and ingenuity to create a family of spirits that entice and intrigue, including whiskey, vodka, and gin. Founder and Distiller Gordon Glanz holds an MSc in brewing and distilling from Heriot Watt University in Edinburgh, Scotland, where he experimented with distilling whiskey using raw grains and commercial enzymes before studying under the masters at Springbank distillery in Campbeltown. Now back in his hometown, Gordon is applying his penchant for experimentation and knowledge of tradition within the Odd Society, which he operates alongside his wife and partner, Miriam Karp, as well as his good friend Joshua Beach. Odd Society’s name comes from an interest in using their spirits and distillery as a way of bringing together a diverse collection of creative and unique people, embracing change, and celebrating individual and collective oddities. The tasting room offers an impressive selection of skillfully made cocktails that are as much of a delight to watch being made as they are to drink. The seating area is classy and clean with trendy decor, and many guests are treated to a view of the immaculate back room where the spirits are made. Embracing the sublime pleasure of drink, the joy of good food, and the comfort of family, Pourhouse Restaurant is the embodiment of a passion for sharing the simple indulgences in life with friends. Just southeast of the steam clock in Gastown, Pourhouse is born of century-old styles of drinking and dining. The old building was built in 1910 as a home to the Leckie boot company, and it was crafted with Douglas Fir ceilings supported by large wood pillars and brick walls. Today, Pourhouse is furnished with antiques of the era complemented by custom creations, each with its own story. The cornerstone is the 38-foot bar, which was lovingly handcrafted from 120-year-old planks of reclaimed Douglas Fir. In addition, the entrance and hallway walls are finished with era-inspired textures and gold leaf detailing. The cocktails also have an old-fashioned soul, with both plain and fancy variations, and they were actually the catalyst for the entire concept. The wine list gets its inspiration from the turn of the century and is priced to encourage sharing and discovering. Beers cover a range of tastes and styles, with several selections representing the true ale craftsmanship of British Columbia and the Pacific Northwest. Pourhouse is also serious about coffee, serving a beautiful local roast crafted with a handmade Synesso espresso machine. Overall, Pourhouse focuses on quality over quantity, with a particular interest in whiskey and whiskey applications to cocktails. Established in 2013, The Shameful Tiki Room is a 1,200-square-foot 50-seat restaurant and bar that specializes in old school Tiki ambience. Taking care to replicate the ambience and cocktails of masters like Don the Beachcomber and the ‘Kon Tiki’ lounge of yesteryear, the bar has a fun menu of shareable plates, snacks, and meals to carry its guests through their journey. 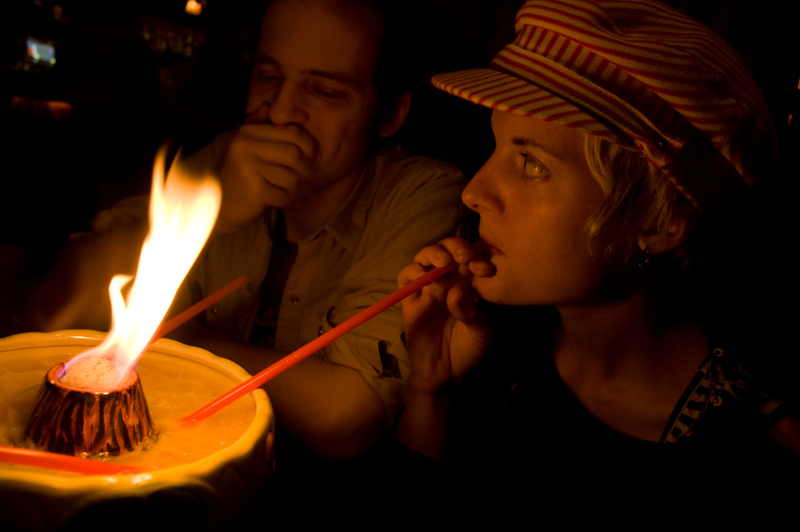 With over three dozen classic cocktails on their menu, as well as a great selection of non-alcoholic drinks, The Shameful Tiki Room takes its craft of reviving Tiki culture seriously. Their most popular house specialty drink is the Mystery Bowl, which consists of two lime halves set in cubes of brown sugar that are then doused with 151 proof and set aflame, and when purchased will grab the attention of the entire venue with the sound of a gong and staff chant. In the tradition of classic Tiki rooms, visitors will find that the music is never too loud, the lights are dim, there is no phone ringing, and the capacity never crosses its limit. Because the restaurant wants to keep the place always at or under capacity, there can be long waits to get in, especially on weekends, but the wait is definitely worth it. Occasionally, patrons are greeted by a live band performing classic surf tunes or playing Hawaiian ukuleles, and most evenings feature specials like Saturday’s original cocktail program. Located on a corner in Main Street in Vancouver’s Riley Park, The Acorn is an award-winning refined, vegitarian restaurant, focusing on imaginative, seasonal plates and cocktails. 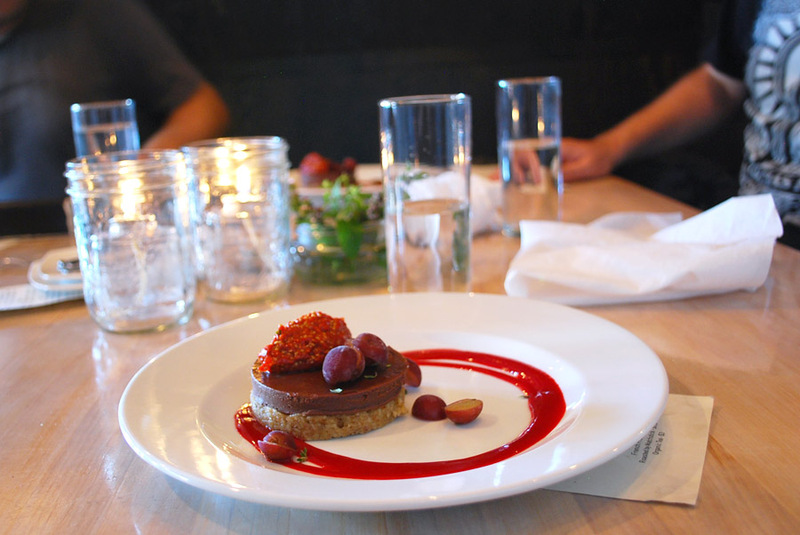 It boasts a chic environment with minimalist decor, and though it is as popular with omnivores as it is with vegetarians, The Acorn also offers plenty of options for vegan, raw, and gluten-free diners. The bar showcases seasonal, original cocktails alongside wines and craft beers from British Columbia. One of their most popular signature cocktails is the Lavendula, made with Odd Society wallflower gin, St. Germain elderflower liqueur, egg white, fresh citrus, Acorn Garden lavender syrup, and white pepper lavender bitters. Patrons are also fans of the Ad Astra, a concoction made from gin, pear, rosemary, triple sec, lemon, and juniper, and the Quest of Fire, a sweet cocktail made from chamomile, tequila, lemon, agave, cucumber, and sage. The friendly and knowledgeable bartenders also make all kinds of classic and custom cocktails, with an incredible talent for mixing flavors that has led to the creation of drinks like ‘Mexican-style eggnog’ with homemade cashew milk, tequila, and spices. Though the restaurant’s vegetarian food is exquisite, many come back again and again simply for the amazing cocktails.